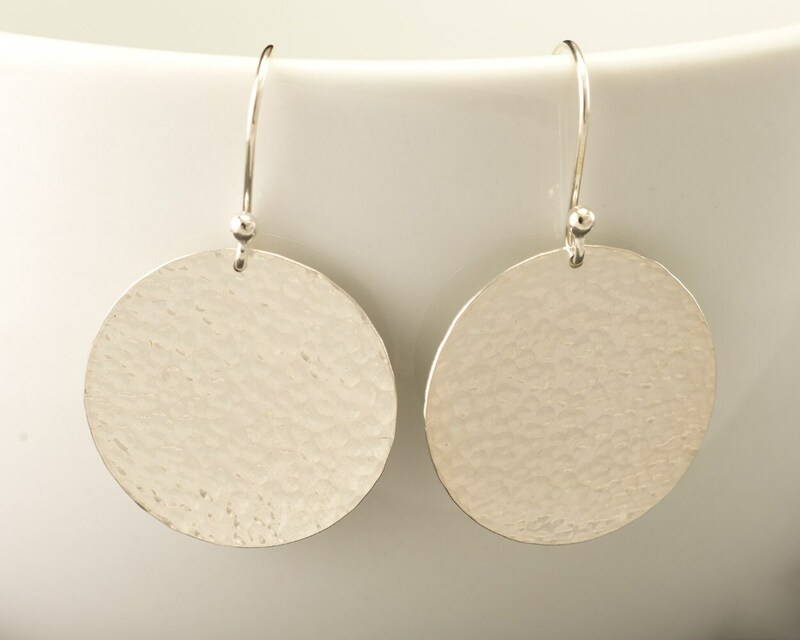 These large disc earrings are composed of a solid sterling silver disc accentuated with a hammered texture. 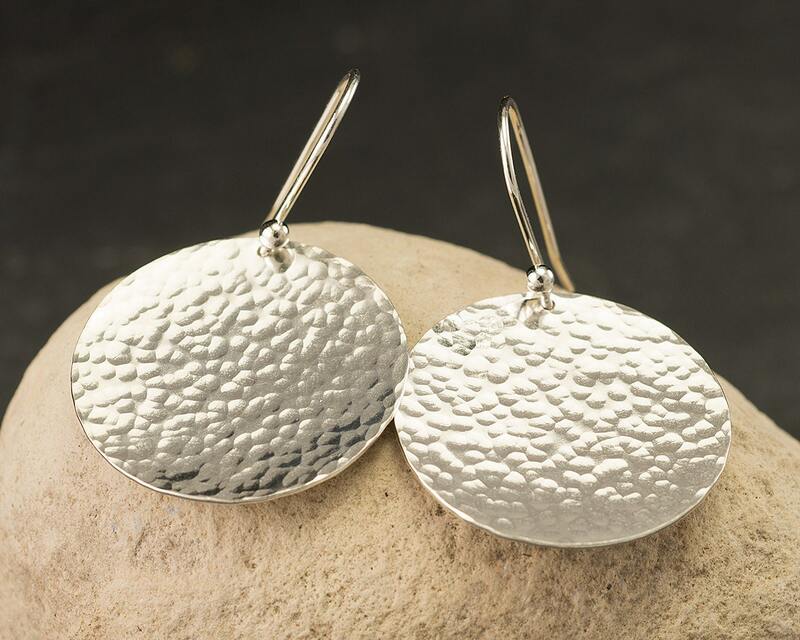 The earrings have been given a nice polished finish which catches the light beautifully. 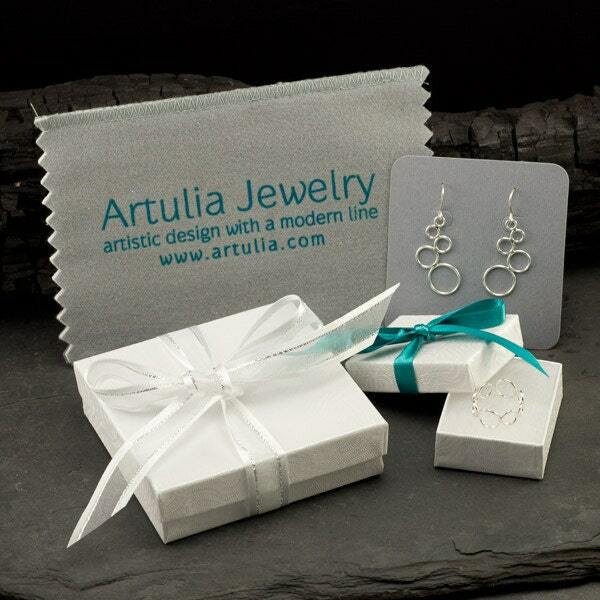 Ear-wires are made of high quality Argentium sterling silver, so even people who have allergic reactions to the copper in standard sterling silver can comfortably wear these. Earring discs measure 1" in diameter. Earrings dangle approximately 1.5" from earwire. So gorgeous. I can’t wait to wear them. And shipped so fast! Thank you! 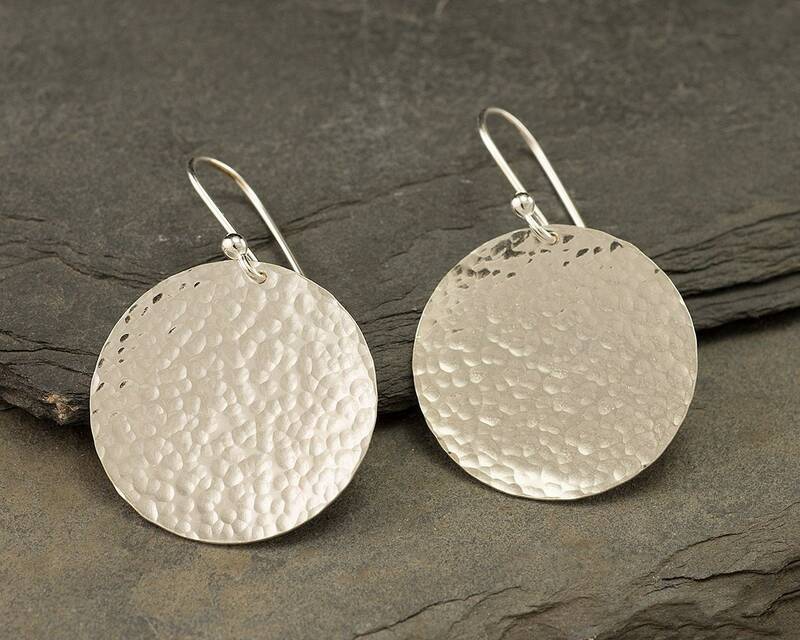 Beautiful earrings, stunningly simple, yet a focal point when worn. Very well made, I foresee that these will last a long time even with as much use as I think they will get. Highly recommend this seller. A wonderful person, creating beautiful quality items. These are a gift for my sis. I know she will love them.